A chilling new medical therapy is under national scrutiny. I hopped in. In a mostly abandoned office park near the Oregon Zoo, I'm minutes from trying America's trendiest, least-regulated and most notorious medical therapy. I'm nervous. I'm sweating. And the sweat's just making me more nervous, because now I'm worried I'll get frostbite in my armpit. I'm about to step into a tank that looks like a one-person backyard spa, putting my body in a bath of minus-180-degree-Celsius liquid nitrogen vapor. This is whole-body cryotherapy, in which extreme cold is used to reduce a person's skin temperature, forcing their blood to retreat to their core. Proponents claim that as the skin warms, nutrient-laden blood rushes back to it—causing healthier skin, less cellulite, and faster recovery times for athletes. But the death of a woman in a suburban Las Vegas cryotherapy chamber last month has renewed skepticism about the treatment, which remains almost entirely unregulated (see sidebar). 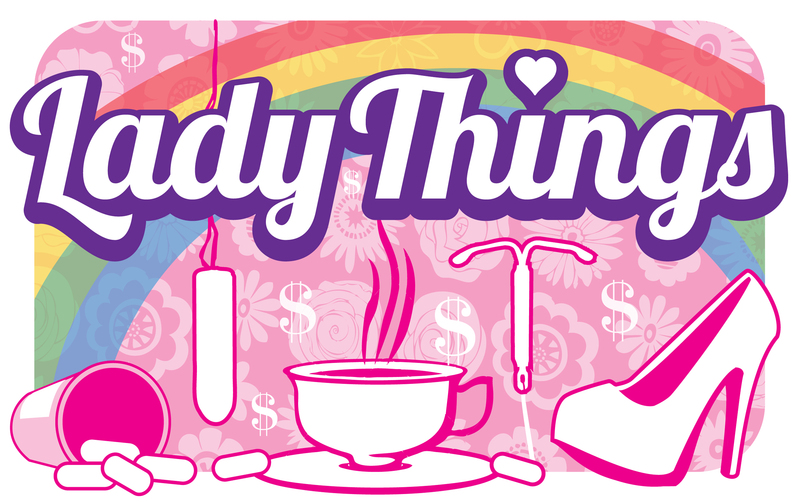 I write a column on wweek.com called "Lady Things" in which I explore the interesting and horrifying things women do to their bodies in the name of health and beauty. This seemed to qualify. But now that I have arrived at Active Cryotherapy on Southwest Westgate Drive, it feels like a step too far. There are a lot of warmer places I could have gone: a freezer. The South Pole. Any natural environment anywhere on earth. Even the dark side of the moon is warmer. The owner, Richard Sprauer, can tell I'm anxious. "You're a little scared, aren't you?" he asks me, after I fill out the intake form, sign a waiver and visit the restroom to send a final farewell text to my boyfriend. I don't think I'm likely to die, but I also don't think it's outside the realm of possibility. I've read about people getting frostbite because they were wearing something damp in the chamber. Loss of the use of limbs, disfigurement. I haven't told my parents what I'm doing. They are already worried about my experiments with fake tanning and detox tea. I've been having dreams about the cryo chamber. Why did I agree to this again? Am I like a third-grader who can't say no to a dare? Probably. I think about leaving. "Ha, no!" I tell Sprauer. "I'm fine!" Richard and Patricia Sprauer have operated Active Cryotherapy in Southwest Portland since September 2012, in office space shared with a chiropractor. A database maintained by the Oregon Department of Justice shows that no complaints have ever been lodged against Active Cryotherapy. Its business registry paperwork lists its main activity as "cryosauna treatments." After years of competitive soccer and skiing, my knees have turned into my dad's knees–constantly sore and creaky. They ache in cold weather. Maybe this $44 treatment will help. I follow Sprauer, a jovial man with white hair and a mustache, into the back. 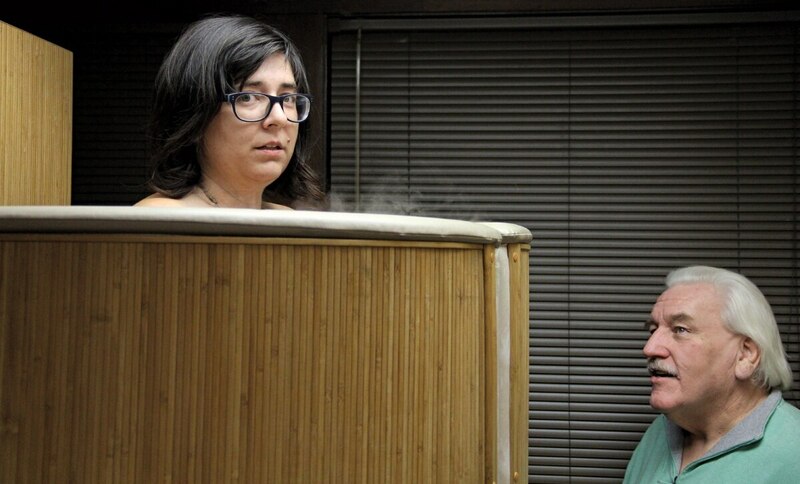 In the cryotherapy room stands the expensive "cryosauna," which looks to me like one of those one-person in-home saunas some people buy and probably never use: a tank over 6 feet tall decorated in a faux wood-paneled print. Next to the door is a huge tank, almost my height, that says: "MEDICAL NITROGEN." Sprauer told me over the phone to bring three pairs of "substantial" socks, two for my feet and one for my hands. He inspects the socks I'd put in my bag, in a plastic bag to avoid any dampening, and pronounces them good enough. Then he tells me to take my clothes off, put the socks and a robe on, and let him know when I'm done. He instructs me to stand in the chamber and he'll close the door and then the bottom will lift up until my chin is over the edge. I wonder how much the elevator played into the cost of this expensive piece of equipment. It seems a little showoffy. Sprauer hits a button, and I slowly ascend. "Tell me when your chin is at my finger," he tells me, holding his finger up over his head. "Now!" I say. I take off my robe. Sprauer flips a switch. The cold from the liquid nitrogen comes on slowly. It's fun for a second, the smoky vapor climbing up over me and spilling out the top. "Turn every time you hear the machine make a noise so it doesn't all hit you in one place," Sprauer says. It's cold—but not the cold of jumping into a lake or even being outside in the mountains. It's drier, and doesn't take my breath away. But after a few seconds, my legs start to feel a prickly dull pain. 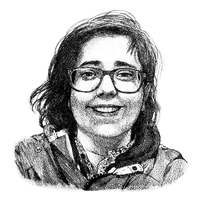 "You can go for two and a half minutes or a full three," Sprauer says. By this time, I am very cold. Not in acute discomfort, but still worried about frostbite. I'm full of adrenaline. "I think two and a half is fine," I say. Sprauer puts my robe on the top of the chamber, turns the machine off and hits the elevator button. "When the elevator hits the bottom, push the door open," he says and walks out of the room. Our photographer looks away while I throw my clothes back on. I bounce up and down a little. I can't feel the usual pain in my knees. My legs are turning red and are cold to the touch. I have the feeling I distinctly remember from one day in high school, after a long winter run for the ski team in the evening rain, when I was deeply cold, colder than I'd ever been, even colder than the time I was taken to the ski patrol hut because I was hypothermic. It's a feeling of sensation slowly coming back, muted tingling, pain mixed with relief. "My knees feel great!" I tell Sprauer. "Go easy on 'em," he says. My knees continue not to hurt for a couple hours after the cryosauna. But by evening, when I attempt a spin class, they are back in their usual sore form. But at least I'm not dead. WW news intern Coby Hutzler contributed reporting to this story. Lizzy Acker does alarming things to her body for her weekly column, "Lady Things," at wweek.com/lady-things.